In the 1990s, two mob bosses and a South Philadelphia drug kingpin targeted him for assassination. They’re dead or in jail. He’s still standing … these days more often than not on a golf course in Florida. Joseph “Skinny Joey” Merlino is a survivor. And it looks as if he’s about to walk away from his latest problem with federal authorities. The conventional wisdom is that Merlino will beat the apparently flawed federal racketeering charge pending against him in U.S. District Court in Manhattan. “We got them right where we want them,” the 55-year-old mob leader has said to friends and associates. It’s a line the charismatic mobster has used throughout his checkered career while doing battle with federal prosecutors and the FBI. He’s won and lost battles with the feds, was wounded in a drive-by shooting that left one of his best friends dead and has spent about half of his adult life in jail or on probation. But he beat murder charges in two trials that could have landed him in prison for the rest of his life. And he’s clearly ahead of the game in the racketeering case that was announced with great fanfare last August by prosecutors in the Southern District of New York (Manhattan). That case, with Merlino and two Genovese crime family capos listed as the lead defendants, has fizzled as more details about the questionable and at times ill-advised investigation have surfaced. Two FBI agents are targets of an internal investigation into the way a key cooperating witness was supervised, according to numerous reports coming out of New York. The Justice Department probe has been referred to obliquely by federal prosecutors in documents filed in the Southern District of New York and in more detail in a letter to the judge that, like several other documents, has been filed under seal. More important, federal prosecutors have offered plea deals to every defendant in the case, offering to drop the most serious charge – conspiracy to commit racketeering – in exchange for guilty pleas and lighter jail sentences for charges like extortion and gambling. Lawyer Edwin Jacobs Jr. has represented Joey Merlino in two major federal trials. To date, 39 of the 46 defendants in that case have taken the government up on its offer. Several others are said to be close to reaching agreements. But Merlino says he’s going to trial. 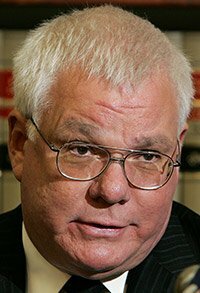 His lawyer, Edwin Jacobs Jr., won’t comment, but said he’s busy reviewing the “voluminous” material gathered by the government, including hundreds of secretly recorded conversations by controversial cooperating witness John “JR” Rubeo. Jacobs, who has represented Merlino in two major federal trials, is a master at analyzing tapes and using government recorded conversations to his advantage. If this case goes to trial, Jacobs will have more than a working knowledge of every word Rubeo uttered in conversations with Merlino and will know the context and setting of those conversations as well as, or better than, any prosecutor or FBI agent. While declining to discuss strategy or plea offers, Jacobs noted in a phone conversation last week that prominent New York defense attorney John C. Meringolo (who once represented John Gotti Jr.) has signed on as Merlino’s co-counsel. That could be another indication Merlino intends to fight the case in court, or simply a way to solidify Merlino’s position in a legal game of chicken he is playing with federal prosecutors. 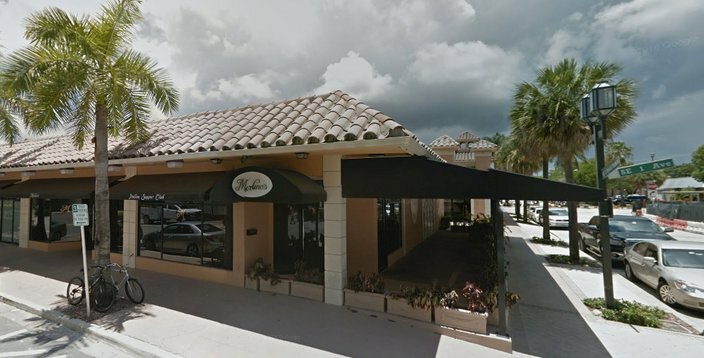 Merlino's, the mobster's namesake restaurant in Boca Raton, Florida, closed in May 2016. If Merlino is the only holdout – a real possibility given the way the current case is unfolding – the government may be hard-pressed to go to trial. That’s why Merlino’s current position makes sense. The feds could come back with an even better offer than the two years in jail Merlino has reportedly turned down. Or prosecutors could decide “in the interest of justice” to drop the charges against Skinny Joey. The case against Merlino is built in large part on tapes made by Rubeo, a former Genovese crime family associate who began cooperating after being arrested on drug dealing charges about five years ago. Rubeo made tapes in New York and helped authorities get listening devices into an Arthur Avenue restaurant in the Bronx, Rigoletto’s, owned by mob capo Pasquale Parrello. Tapes from the restaurant helped make the case against the 72-year-old mob leader who has agreed to take a government deal. He recently agreed to plead guilty to three counts of conspiracy to commit extortion. Tapes made by Rubeo and by an undercover FBI agent Rubeo had introduced to the organization were the keys to the indictment. But subsequent reports have indicated that long-established law enforcement protocols were ignored when Rubeo moved from New York to Florida sometime in 2015 and began taping Merlino. The South Philadelphia born and bred Merlino moved to Boca Raton after serving 12 years of a 14-year sentence following his conviction on racketeering charges in federal court in Philadelphia in 2001. Rubeo became a close associate of Merlino’s in Florida, but federal authorities in New York kept the investigation to themselves, never informing colleagues in Miami or Tampa of the investigation even though Tampa had targeted two other Merlino associates in a major medical insurance fraud probe that New York grafted onto its case. Six of the eight defendants in the Tampa case have already pleaded guilty, admitting their roles in what the government alleges was a $157 million insurance fraud scheme built around bogus prescriptions for compound pain cream. Were Merlino in the Tampa case, he might not be in a position to walk away. South Philadelphia born and bred, 'Skinny Joey' Merlino moved to Boca Raton, Florida after serving 12 years of a 14-year sentence on federal racketeering conviction. He lives on a residential street situated between the ocean and the intracoastal waterway, according to reports. Philadelphia authorities were also kept in the dark about the New York investigation, even though federal prosecutors in their “East Coast LCN Enterprise” indictment identified Merlino as the boss of the Philadelphia crime family. Evidence in the case included conversations Rubeo recorded in New York and at the Jersey Shore with Merlino and other Philadelphia mobsters. Federal authorities up and down the East Coast refer to the Southern District of New York as “the sovereign district of New York” because of Manhattan’s superior attitude. “This goes all the way back to Rudy Giuliani,” said another former Philadelphia prosecutor. Giuliani was appointed the U.S. Attorney for the Southern District of New York in 1983 and used prosecution of the mob to launch a political career. The pending case is not the district’s – nor the FBI’s – finest hour. In fact, Rubeo was complaining about the way he was handled and about prosecutors failing to follow up on potentially more damaging evidence as the case went public. His rocky relationship with his FBI handlers and federal prosecutors would surely be an issue if he were to take the stand. Among other things, mob reporter Jerry Capeci, in his highly read Gangland News column, has reported that when Rubeo left Florida and went into hiding shortly before the indictment was announced he was still driving a car leased by one of the other defendants in that case. Federal authorities either overlooked or did not realize the situation until the defendant canceled the insurance and lease on the car and Rubeo was pulled over by local police in the city where he was living and cited for motor vehicle violations. The car, which reportedly was equipped with a GPS tracking system, could have been used by the mob to locate Rubeo. It has since been returned to the New York area. 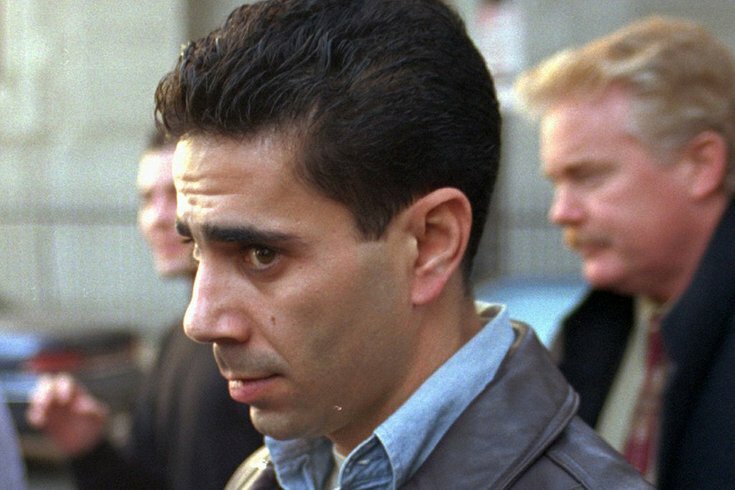 The case against 'Skinny Joey' Merlino, seen here in a 1997 file photo, is built in large part on tapes made by John 'J.R.' Rubeo, a former Genovese crime family associate who began cooperating with federal authorities after being arrested on drug dealing charges about five years ago. Rubeo’s criminal background, his alleged drug trafficking and his dealings with Merlino would also come under intense scrutiny in any cross-examination conducted by Jacobs, another reason the feds might not like to take Merlino to trial. Among other things, sources have said that Merlino interceded and may have saved Rubeo’s life when Florida-based members of the Bonanno crime family wanted to kill him. The Bonannos believed Rubeo had stolen more than $50,000 from a mob-run bookmaking operation based in Costa Rica. Clearly Rubeo and Merlino were friends. Sources say when he was living in Florida, Rubeo was a constant companion of the Philadelphia mob boss. Rubeo, in his 40s, had spent most of his adult life around gangsters and was drawn to their world. In an aside that would resonate with Merlino associates in South Philadelphia, Rubeo joked about Skinny Joey constantly crying poor. From his experience around wiseguys, Rubeo said it was common for mobsters take advantage of and use associates to make money. Most just grab what they want, but Merlino, he said, was different: he liked to have a good time.